I LOVE boots, especially ones with heels as they tend to make my long feet look a little smaller, and they can make casual jeans look glam. That’s why I was a very happy girl when Fashion World asked if I wanted to review some of their footwear from their larger foot-size range. 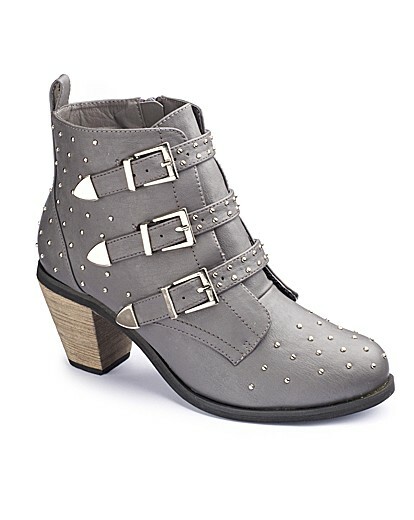 I came across these gorgeous studded, strappy ankle boots and fell in love. I’ve never had studded boots before, and I liked the silvery colour of the boots in contrast to the light wood coloured heel. 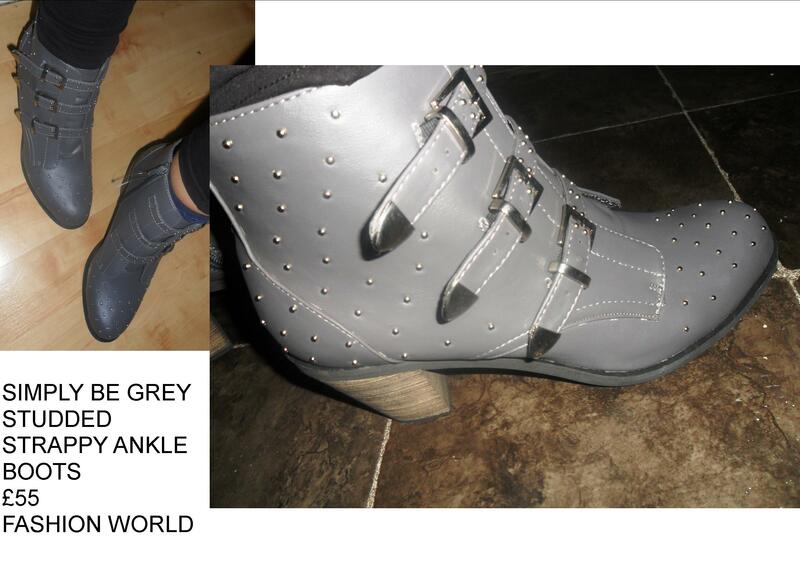 The 2.5 inch heel is nice and thick, meaning I can walk easily without fear of breaking my ankle, or worse, the boots! They are really comfortable to wear, and when I first started to wear them I had none of the classic ‘new shoe rub’ on the ankles or toes, which was great! I’ve been told some studded clothing and footwear can be poorly made, so the studs come off easily and quickly, but these seem really well made. 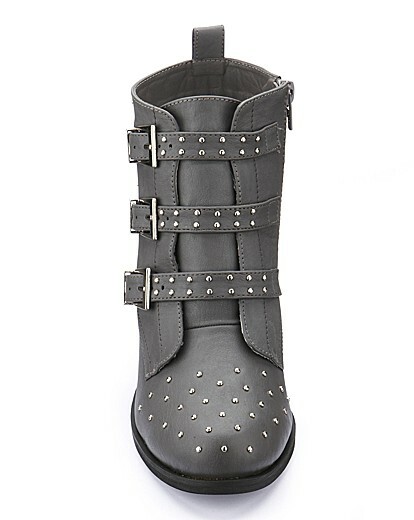 The three decorative straps and buckles work so well on the boot, and I love how even these have studs on them. They work so well with bootcut jeans, but I’m also thinking about trying them with some bootcut smart trousers to see if I can work it or not. They come in a range of width fittings, and can be bought for £55 from (UK) sizes 4-10, which is handy as 10’s my size! I’m now eyeing up some of their flat, calf boots for next winter, as well as their summer footwear which includes a couple of size 11 sandals which is brilliant. These boots were given to me by Fashion World in order to review. All opinions are honest and my own, and no payment was received for this post. As you saw in my previous post, I’ve just found a great, new footwear site (Shoesissima) for fashionable shoes in large sizes, and they have given me a pair of Dara sandals from their new SS14 collection to give to one of you lucky people! 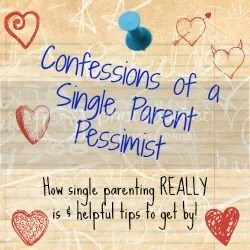 WordPress unfortunately don’t let you host competitions on their blogs, so I have had to set it up on my parent blog, so to enter my competition, click here. 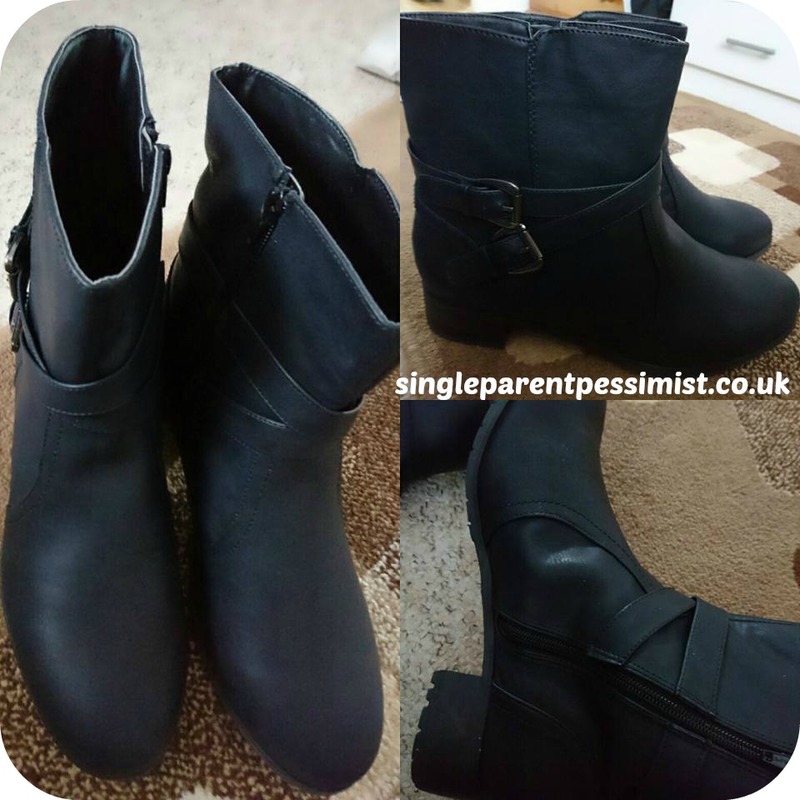 Shoesissima were kind enough to give me a pair of ankle boots called ‘Petal‘ from their new range to try out for this blog, and let me tell you I was more than impressed with what I got! These boots were inspired by recent fashion shows from the likes of Marc Jacobs, Balmain and Nicholas Kirkwood, particularly the elastic side gussets of the boots, which was a running theme with these designers. 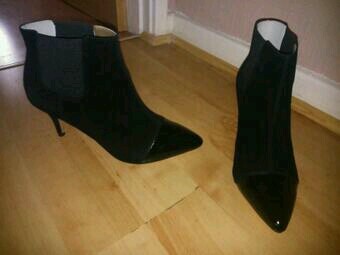 The black ankle boots have a pointy, patent toe and a 70mm heel. I initially thought they may be too high for me to balance my flat feet on, but I have managed to walk quite well with them and haven’t fallen over yet! I love how a mixture of suede and shiny patent have been used on the boots, as these contrast really well together, and help to make them look quite chic, and well worth their £99.99 price tag. I’m going to team them up with bootcut black trousers for work and 3/4 length jeans or leggings for the summertime. 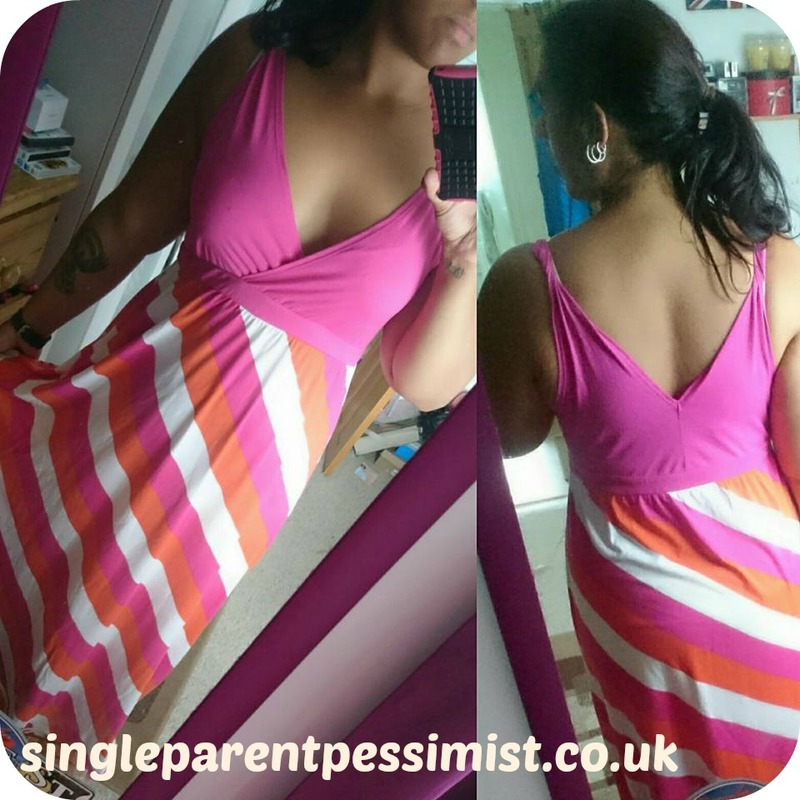 They will pop out when I wear my vintage black dress if I’m feeling extra brave on a future date too! Shoesissima have also kindly given me a pair of Dara sandals from their new collection to give away to one of you lucky readers! To enter my competition, click here.